Are you ready for Easter? Found hiding places for the eggs, sourced enough chocolate, invited the family, bought a bunch of bunny ears to wear? Gosh, there’s a lot to do but don’t worry, help is at hand. 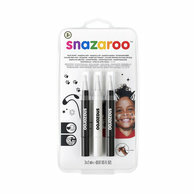 Look below for a collection of fun and easy face paint designs for everyone to try. 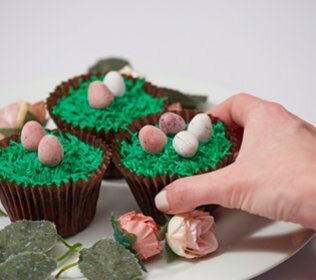 Plus, we’ve created a tasty cupcake tutorial that’s easy enough to do with the kids. 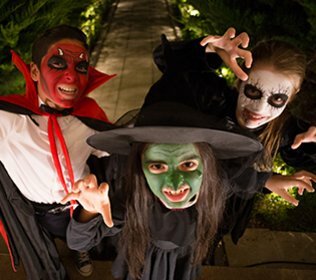 Our little monsters are up to all sorts of mischief this Halloween – take a look at the video and for more ideas on how to have some frightfully good fun, why not explore some of our devilish ideas towards the end of the page. 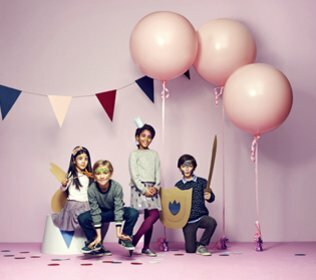 We’ve searched Fairytale Land high and low for some terrific tricks for a magical party. Below you’ll find guides on how to paint the faces, as well as some wonderful activities to do with the kids. 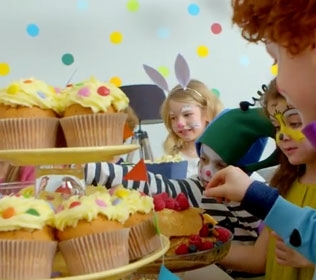 Clown, jester or masked carnival queen – everyone has a part to play in the parade and we have a brand new video full of ideas to get you started. Time to make the cupcakes and grab the drums! Here are some perfect ideas for a party this winter for children who love ice, snow and magic. 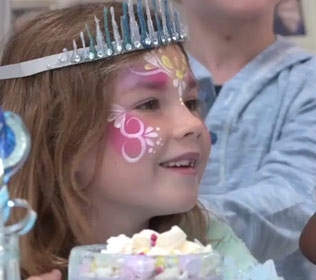 To help you, take a look at our brand new video with easy Ice Fairy and Princesses Face paint designs and ideas. Careful – there’s a tiger on the prowl among those trees. We suggest inviting some animal friends round to keep her company. 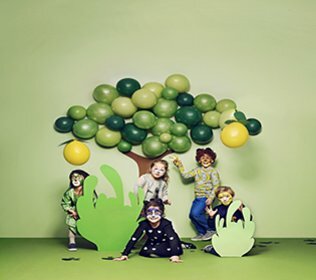 Time for a jungle party: all you need is some face paint, bits and bobs from around the house and a dash of imagination. We’ve created some fabulous furry faces and easy-to make activities, so step this way. Roar! It doesn’t matter how old you are – everyone loves a superhero. This year, we’re spoilt for choice at the cinema and if you’re anything like us, you’ll be dashing out to watch them all. 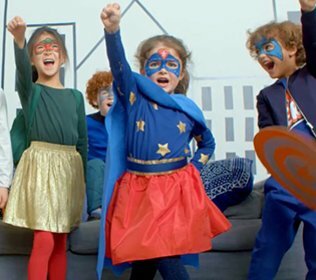 Your children will turn into caped crusaders and if you’re honest, you’ll want to join in the fun too. Look below to find a few of our favourite superhero face paint designs and some themed party ideas to keep everyone amused. Shiver me timbers! We've got some tried and tested Pirate Birthday Party ideas for your little buccaneer! To help you on the big day, take a look at our easy step by step guides and arts and crafts. To help you, take a look at our brand new pirate video for lots of ideas.